The Clarksville Community Concert Association presented the fourth of five concerts at Austin Peay State University on March 6, featuring Trio Verlaine. 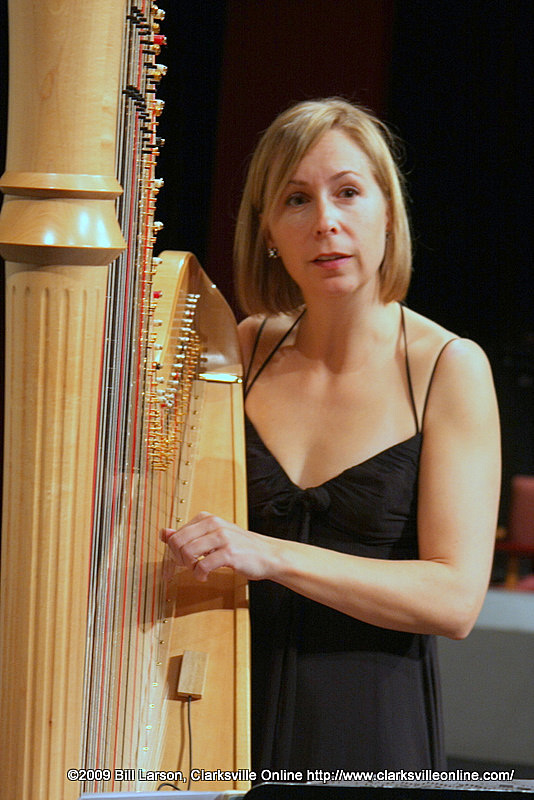 Trio Verlaine features Lorna McGhee on flute, Heidi Krutzen on Harp and David Harding on Viola. The program included Serenade Op. 23 by Ludwig von Beethoven, Sonata for Flute, Harp and Viola by Claude Debussy, and Trombeau de Couperin by Maurice Ravel. the performance concluded with Piazzola’s Le Grand Tango. The series will conclude April 3 with a performance by the John Proulx Trio.